The foundation offers the exceptional Allen Gray Fellowship to South Africa pioneering bright young students. Interested applicants can apply for the Fellowship opportunity during their Grade 12 school year or during their first year of university. The Fellowship application is open to learners and students from South Africa, Namibia, Botswana and Swaziland. The Fellowship selection team aims to correctly select talented individuals from the Southern African region so that the Fellowship is awarded to individuals that are most able to leverage this opportunity. Fellowship applicants need to fulfill the criteria indicated below. Applications close Wednesday, 30 April 2015. No late applications will be accepted. Applications Close Friday, 31 August 2015. No late applications will be accepted. The NZIDRS provides full tuition fees plus a living stipend for up to 36 months for international students to undertake PhD study at a New Zealand university. The NZIDRS are funded by the New Zealand Government and administered by Education New Zealand. Answer all questions by completing all fields and submit your form along with ALL required documents to Education New Zealand. ISES occurs every 2 years at academic institutions around the world.The internationally recognized event has brought high profile energy leaders such as Connie Hedegaard (EU Commissioner for Climate Action), and Dr. Rajendra Pachauri (Nobel Laureate and Chair of the IPCC). The latest summit brought over 500 students from over 60 countries. 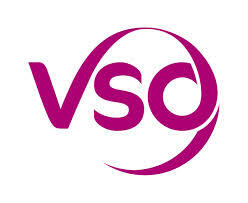 Student members receive a 50% discount to attend ISES. If you are not yet a member you can purchase membership with your conference attendance to take advantage of the discount. Registration will be available in two terms – Early Bird and Normal. Our conference prices and bursary information are outlined below. 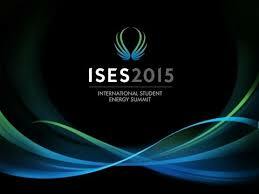 Please note that members of Student Energy receive a 50% discount to attend ISES. If you are not yet a member you can purchase a membership with your conference attendance to take advantage of the discount. Normal registration will be open from April 5th until May 17th. Delegates who apply in normal registration stage will have a normal price.